Markell is a funny, social, and bright young teenager. He’s full of opinions—you’ll never have to guess what he’s thinking!—and makes friends easily. He likes to be active and enjoys playing football and basketball, swimming, and working on cars when he gets the chance. He loves being outside, although he enjoys playing video games, listening to music, and watching movies too! Markell enjoys learning and generally does well in school. His favorite subject is math. He also likes reading in his spare time and has even tried his hand at writing creative fiction! 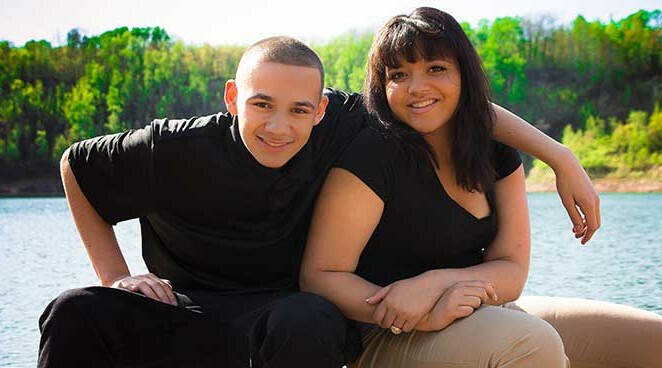 Markell is eager to find a family that can understand and support him. He worries sometimes about not finding a family that can relate to him and that he will always be treated differently. He is open to a family with a mom and a dad, a single mom, a single dad, or two moms. He is open to having other kids in the family or being the only child, but he does ask that any family support him in having regular contact with his siblings. He likes animals and would enjoy a family with pets. He would prefer to be close to the metro area, but is open to other locations. About Me Markell is a polite and charming 15-year-old. He is funny, engaging, and loves to be active. He likes sports and is a valued player on his basketball and football teams. He’s very responsible about going to practice and his coaches say that he is a great team player. Markell is smart and takes his education seriously.